Apple TV to rebrand as iTV, gain apps? But will it come with added Ant and Dec? Apple TV - about to become iTV? More details of Apple's upcoming refresh of its Apple TV service have emerged and it looks like the computing giant is all set to rebrand the device as iTV. 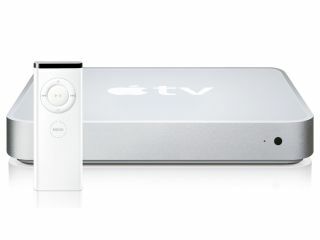 Way back in 2007 when Apple first announced its streaming service at Macworld, most were expecting it to come with the iTV moniker, to fit in with its 'i' branding. And even Apple announced that it would come with the iTV name. Given that ITV is already a significant brand in the UK, this didn't happen and Apple TV was chosen instead. According to Engadget, it looks like Apple has finally got its way and will be using the iTV brand for its next-gen Apple TV service. Close sources have told Engadget that the new streaming service will also come with Apps. This makes a whole lot of sense given the prominence of the Apple App Store and the fact that Google TV is just around the corner. Interestingly it seems that Apple may not add 1080p streaming capabilities, which will be a blow to those who like watching their content in Full HD. The reason given is that Apple's A4 chip can't handle this type of high-def content, something we very much doubt. It won't be long to wait before we see if the leaks are true – expect to see the service land in September, when Apple does its normal product update.